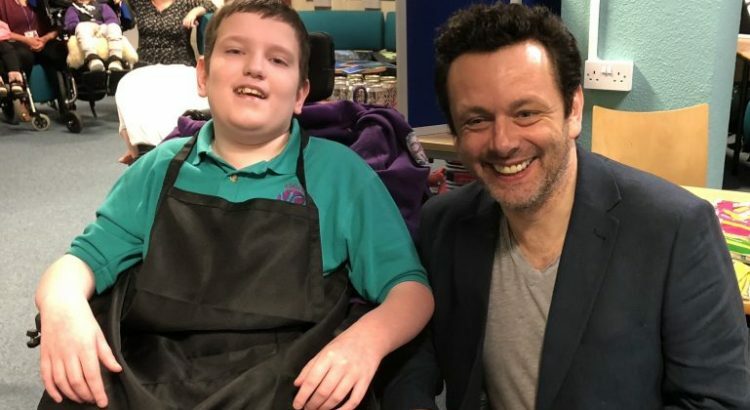 When Michael Sheen met YCG pupils! Some of our pupils have been working with students from UWTSD Business School as part of an Art project to raise funds for new ultra-violet lighting for our Art Room. 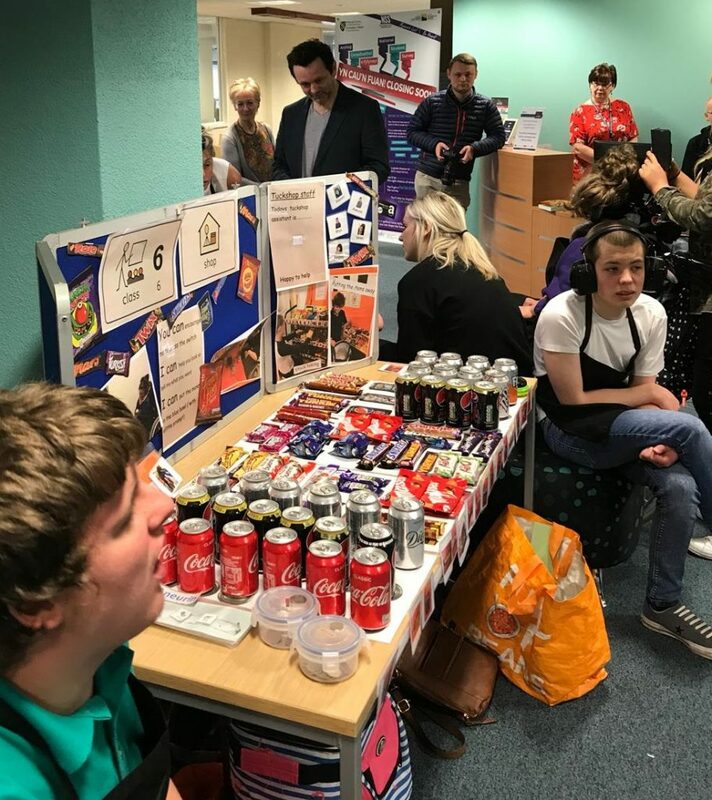 The pupils from Class 4 took some examples of their Art work with them and Class 6 used this opportunity to further their job related skills by selling Tuck food to students and staff alike and even managed to get Michael Sheen to spend some hard earned Hollywood cash!! 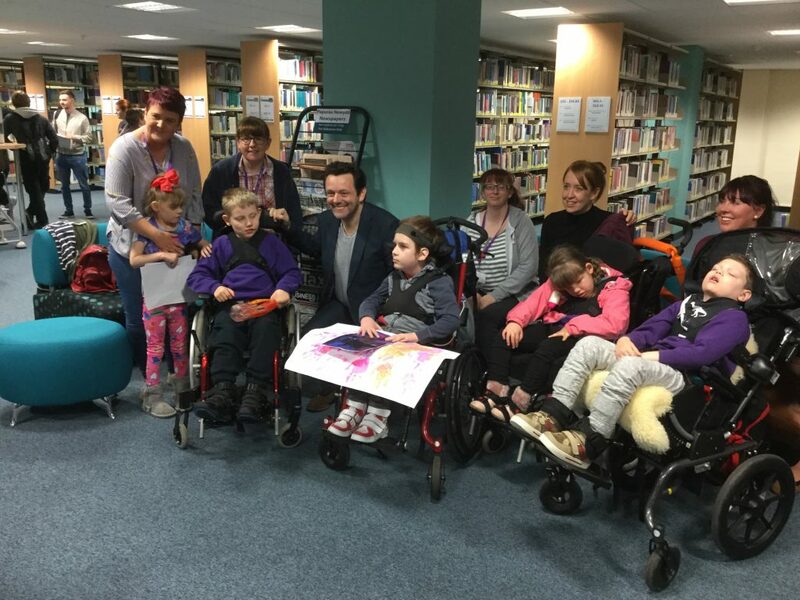 Michael Sheen showed interest in the pupils Art work and chatted with them about it. Its not every day a Hollywood Star gets to meet our Amazing pupils.